Another rather old sewing project to share with you…I made this dress during my last year in Tonga out of a very 1980’s and very moth-eaten sewing pattern I found in the home-ec room. I decided not to bring it back, so unfortunately I can’t share a picture of it. I will say that the dress turned out looking pleasantly un-like the picture on the front. I made it out a mystery synthetic fabric from a local shop which has very nice drape but gets very static-y at times. Excuse my slightly wonky pintucks- this fabric was really hard to get straight for some reason and after taking it out and re-sewing it several times I just decided to live with it. Oh, and please excuse the cat hair too. Despite its shaky beginnings, this dress turned out to be a really comfortable and versatile addition to my wardrobe. I wore it all the time while teaching and I’ve also worn it quite a bit back in America. Oh, and did I mention it has pockets?? I have come to the conclusion that all dresses should have pockets. 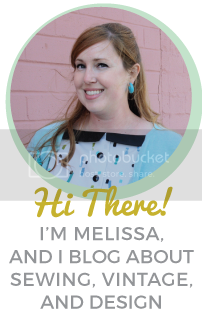 Thanks for checking out my blog! Happy Monday! PS: If you’re interested, check out some of my other sewing projects here, here, here, and here!